Who couldn’t stand a little more ease around the homestead 🙂 Here are some great home decor ideas that solve pesky problems or just seem really fun. I think I’m gonna start with the paper towel idea. 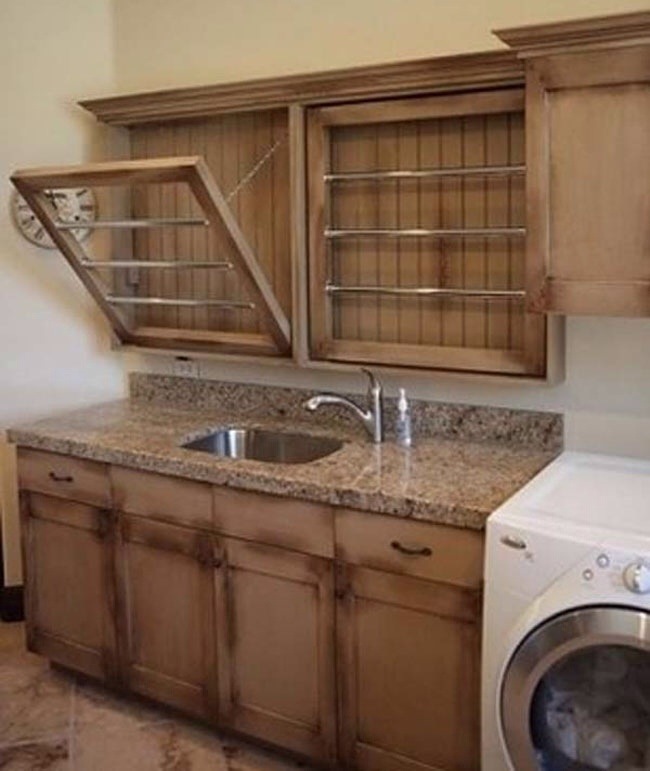 I love the thought of getting rid of those fake drawers in the kitchen. LOL! 1. 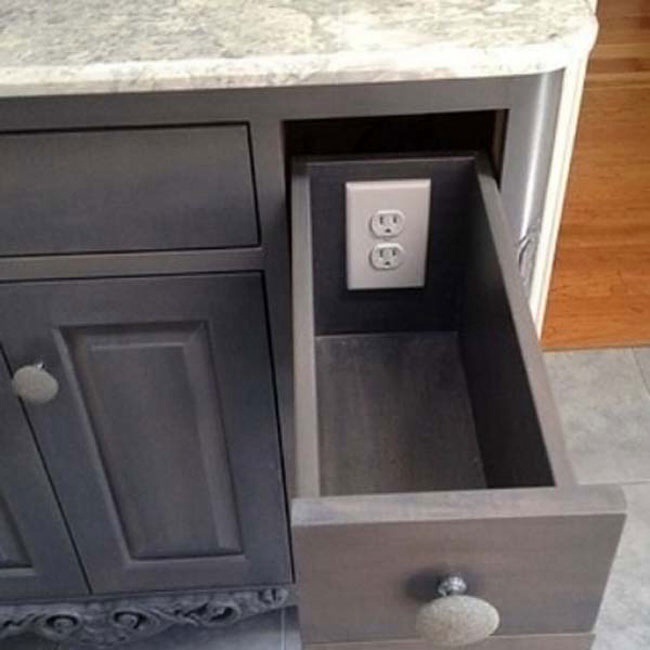 Instal an outlet in a drawer for charging cell phones or using a curling iron. 2. 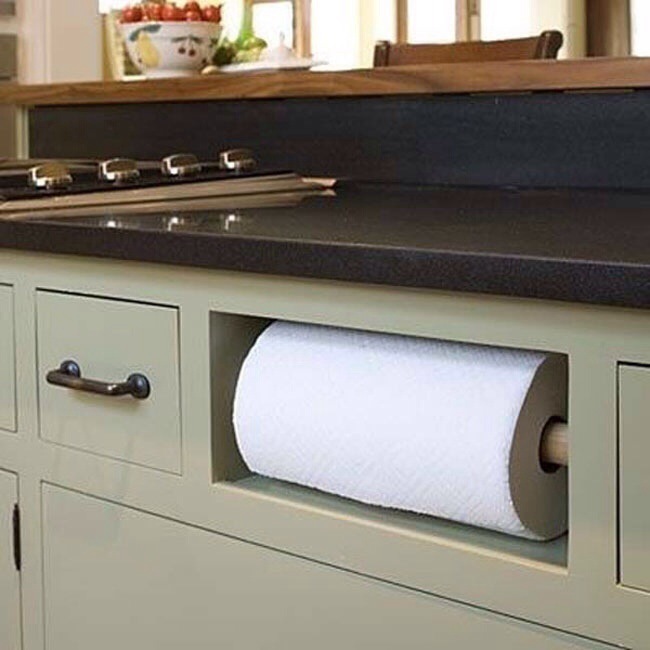 Change that fake drawer into a paper towel holder! 3. Drying racks incorporated into the wall save space on the floor. 3. 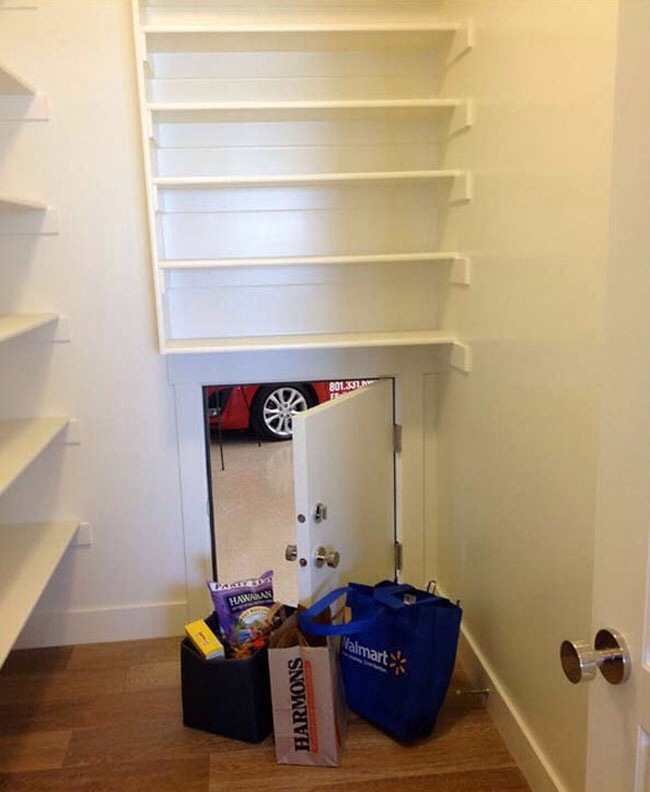 This little door from the garage to the pantry, assuming your floor plan is laid out this way, in genius! (and cute) Just open the door and shove the groceries inside. 4. 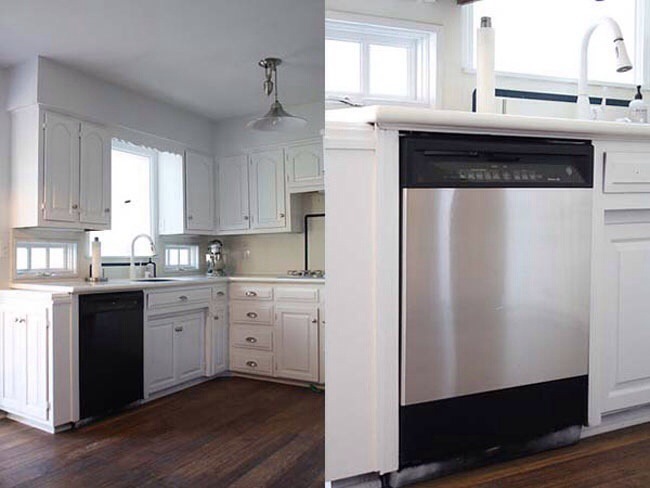 Use contact paper that looks like stainless steel to update the look of your kitchen appliances. 5. 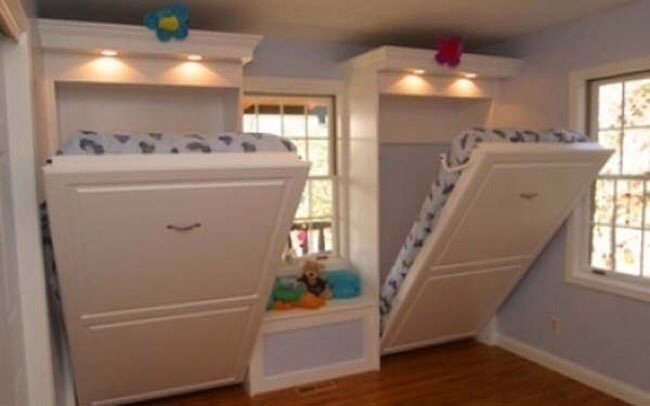 Murphy’s beds for the kids room. A fool proof way to make sure they pick up the junk on the floor before going to bed. LOL! 6. 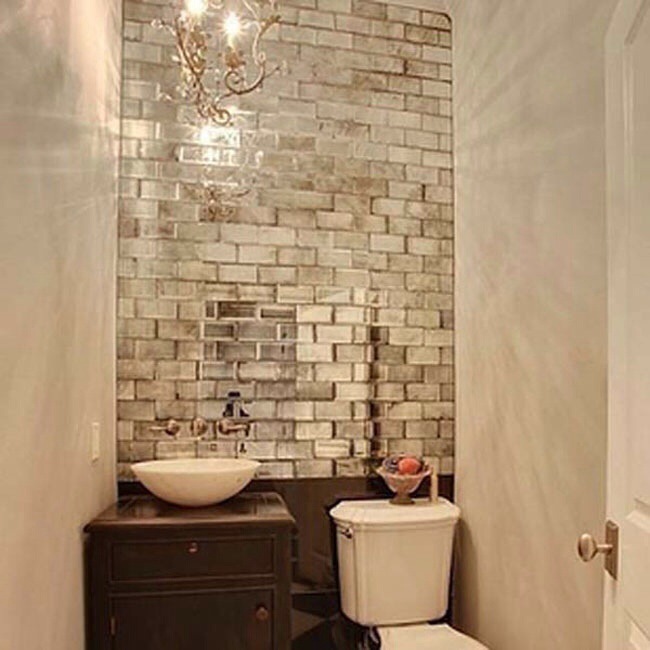 Quickly update a small windowless bathroom with a fancy backsplash that reflects light! 7. 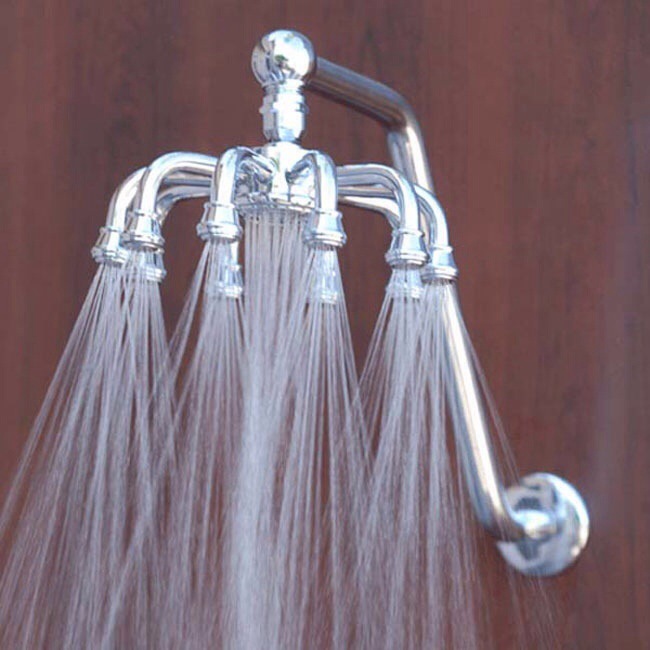 Switch out the shower head and replace it with something a little more “spa” like. 8. 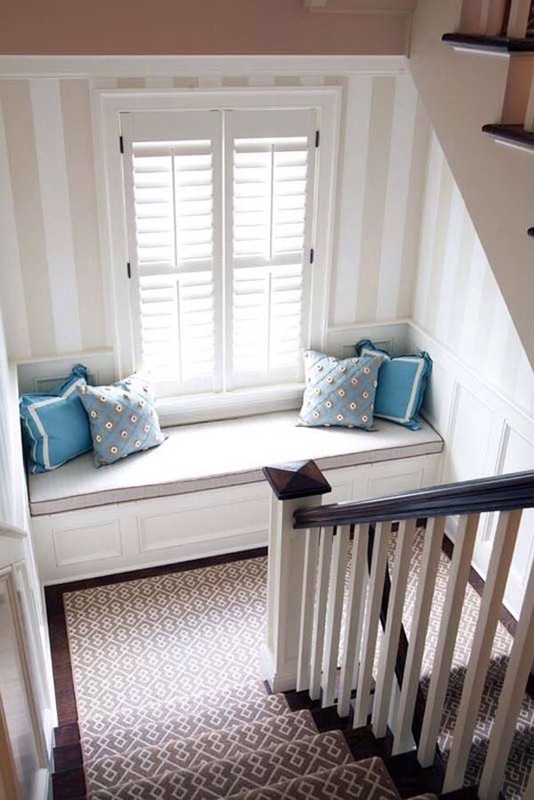 Create a book retreat by adding a window seat to a sunny stair way. 9. 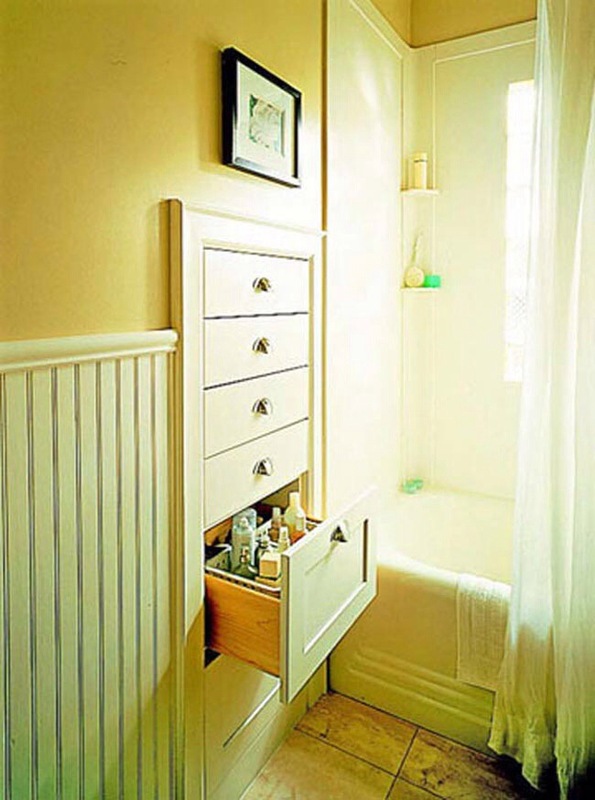 Make use of that space between the studs and have shallow cabinets or drawers built into the wall. 10. 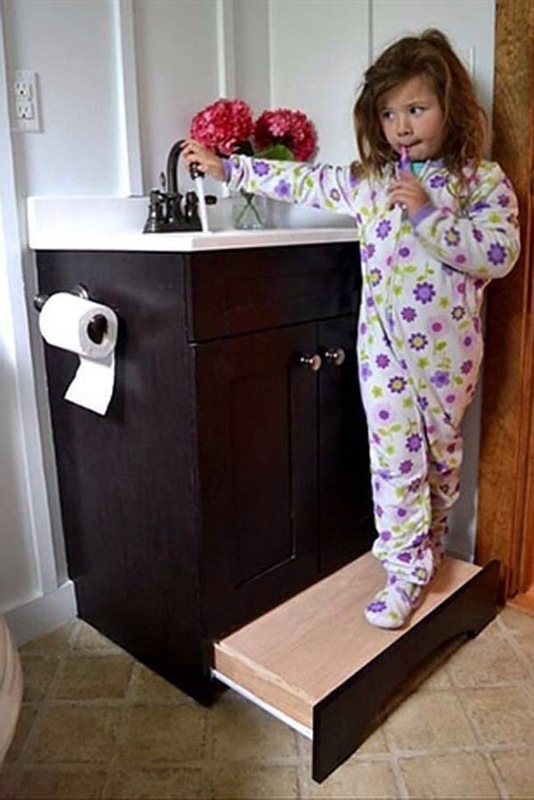 Save floor space by turning the bathroom drawer on the vanity into a step stool for kids. Previous Post Simple nail art that lasts! Next Post Waffle-wiches are Deli-ci-i-cious!